We will place here results of products and solution tests. 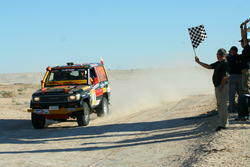 All products and solutions described are or where used by Desert Racer. Test results are going to be subjective and not scientific, but always true and conducted in real tuff rally environment. Click on title, to see more.